Pregnant With Triplets...Would You Chose A Reduction? Home » Pregnant With Triplets…Would You Chose A Reduction? Today, over at momsquawk they are discussing this story where a mom found out she was pregnant with triplets after going through fertility treatments. My mouth fell open. My husband had to steady himself against the wall. There was no jumping for joy at the tiny heartbeats. I continued to stare in disbelief at the monitor. How could I possibly carry three babies to term in my 120-pound body? And what would happen if I couldn’t? How can the same doctor that helped this family become pregnant with multiples suggest they terminate one or two of the babies. Once you elect to go through such a aggressive form of fertility treatment, the chance that you may be pregnant with more that one baby is increased dramatically. It is a miracle for three babies to fertilize, implant and survive. At that point you are having 3 babies unless something naturally happens. It is also wrong of this doctor to scare the parents into thinking that these babies cannot be delivered successfully without complications or issues later. There were many multiples in the hospital when my son was born. Every outcome was different because each no two pregnancies are the same. Your health before you were pregnant, diet, exercise, stress level, race, gender and complications all play a role in the outcome. The doctors told us our son may not walk or talk. They had to tell us the worst case scenario due to the fact he was born so early. It didn’t matter to us – he was the only son we had. The chances of having severe complications in a triplet pregnancy are only 2 percent greater than with twins once you pass the 26-week mark. Babies born earlier than 26 weeks, which happens in roughly 14 percent of triplet pregnancies, almost always suffer serious handicaps, and many die. Then again, the reduction procedure itself carries the risk, however small, of terminating the entire pregnancy. I know there are risks involved, but every day women carrying single babies go into preterm labour and deliver at 22,23,24 weeks gestation. There are always risks when you are pregnant! On Christmas Eve all three babies were born, at exactly 26 weeks gestation, each weighing under 2lbs. They were frail but alive! During their second and third months, the boys grew from scrawny, fragile beings into fully formed little babies. We rejoiced at each milestone — the first time we could hold them (2 weeks), the day they could breathe without the ventilator (4 weeks), the first real bath in a plastic tub (8 weeks), the move out of the incubator and into a joint crib (10 weeks), when they could drink my breast milk comfortably from a bottle (11 weeks), and, finally, the day they were discharged (3 months). These boys are 4 now, all thriving in preschool and developing well. This family has never looked back at what could have been, all they know is that they didn’t do what everyone advised them to do. Special babies and given to special parents. The road may be long, but in the end you will have a bigger appreciation for what you have been blessed with…special needs or not. Sometimes you need to trust yourself and pray for the best. My sister was pregant with 3, she was only 5’4″ 130 lbs, it was 2 girls and 1 boy, the little boy died at 6 months along, she delivered all three, the girls are now 13, she does NOT regret her choice to carry all three and said she would do it again…I agree!! Reduction=Abortion. No, I would never condone killing your own babies. I had an IVF procedure and conceived triplets. I researched all the options, looked at the statistics and decided to take my chances. To be faced with “selectively reducing” a child that you have tried years to conceive is absolutely beyond words. I had a cerclage(cervical stitching) and moderate bedrest at 14 weeks. Despite doing everything I was told, I had premature labor at 21 weeks and was admitted to the hospital. Total bedrest, shower every 3 days, bedpans, the works. It was awful. At 23 weeks trendelenburg- head down in the bed until 28 weeks 5 days and the babies were born. I almost bled to death during the delivery, the babies weighed 2lb 8 oz, 2 lb 2 oz, and 1 lb. 7 oz. Day 5 “B” baby suddenly died. it was horrible and painful experience to lose a child and to watch the others suffer, feeling like it was my fault. I chose this for them, although, I would not change my decision even losing the one child. I am lucky to have 2 beautiful healthy children, and at least my other one had a chance. I could not say that I would not consider reducing if it was 4 or more. 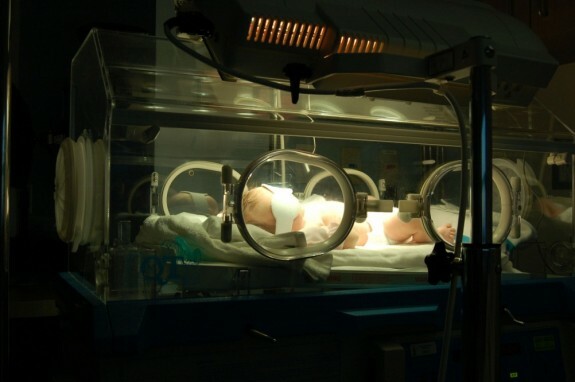 Multiples are not so easy, not on a woman’s body, or on premature infants. It was hell for all of us, but worth it. I am 26 and I have one son that is 6! I had a wonderful pregnancy with him and I pray I will have a great one with this pregnancy with my triplets I am 14 weeks and I have only gained 4 lbs and they all look good and healthy so! I pray that I will be able to keep all 3!!!!!! I am a mother to boy/girl twins, and I can honestly say that they are the BEST thing that has ever happened to me. Multiples are a lot of work and the pregnancy was a little uncomfortable, but I would NEVER think of reduction. Doctors should be ashamed of themselves for suggesting it. When you say that one baby is disposable, it devalues the life of the others(not to mention the life of everyone else). Babies are not to be picked and chosen from, and pregnancies are not to be “customized” to fit one’s lifestyle, like a vacation or a new car purchase. Reduction is abortion, and abortion is a great EVIL. God gives strength. Do the right thing. After doing IVF, we got pg with triplets and almost from the beginning they were telling us we’d have to have the reduction discussion. To ea his own with this issue but for us, unless we found out something was wrong with one of them we would keep them all. Then yesterday, I had an u/s (11 wks)and it was discovered that we have lost one of the babies due to no heartbeat anymore. I am upset, sad and worried about the remaining twins making it to the end. I believe that things happen for a reason but am very sad over losing one…despite knowing the + and – of the situation. I had difficulties taking in my doctor’s advice that we should consider fetal reduction since I was pregnant with quads. However another doctor friend told me nature sometimes takes over by a fetus just fading away (blighting). One week before the date set for the reduction I visited my local gynae for a scan and lo and behold, one fetus had faded away! My triplets were born at 32 weeks and just turned two.